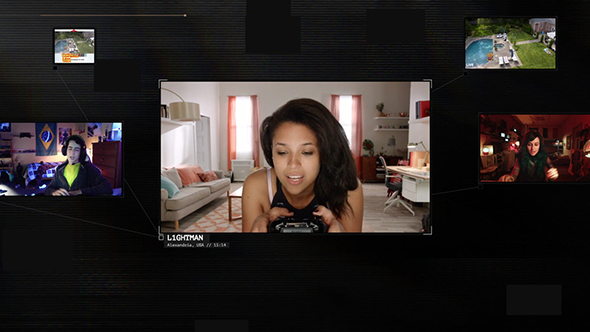 Her Story already split the difference between “video” and “game,” and the next project from creator Sam Barlow is leaning even harder toward television. If you missed the initial announcement, it’s a reboot of the classic 80s thriller WarGames, and now there’s a bit more detail out there on what the project will actually be. Have a look at the best indie games on PC. But the game will track what you’re interested in and tailor the remainder of the story to those points of interest to make up the interactive portion of the interactive thriller. The idea is to broaden WarGames appeal over that of Her Story by letting it exist outside of the games space, and Barlow says he’s excited by the idea someone might start watching without realizing it’s at all different from any other streaming show. While the new game – or show, or whatever you want to call it – is very different from the original Matthew Broderick film, Barlow wants to maintain the movie’s reflection of “some of the realities involved in hacking.” The show has several consultant advising on the hacking to make sure what’s shown is within the realm of possibility. Also, unlike the grim tone that dominates a lot of modern sci-fi television, Barlow hints WarGames will be a touch more lighthearted. “What struck me in the original movie was just the charisma of the Broderick character, the humor that he had, the positive naive outlook and the clash between that and the world of his parents,” and Barlow says the group of young hackers here will reflect that sense of humor, fun, and idealism. While it’s tough to decide whether to call WarGames a game at this point, Barlow sounds set on continuing to pursue projects that tell stories interactively. “The beautiful thing about this medium is that you get to embrace some of that fluidity and actually involve the audience in it. It feels more truthful.” We’ll hopefully be hearing more about when we can watch – or play – WarGames soon.